Our last day was kinna crazy while I was in the ending ceremony of my courses BAE was getting us tickets to get to our next & final stop in the trip, (any guess where we will be? ), after that we said like lets do all the thing that we couldn’t do during the week cuz of my timing at the MBA. 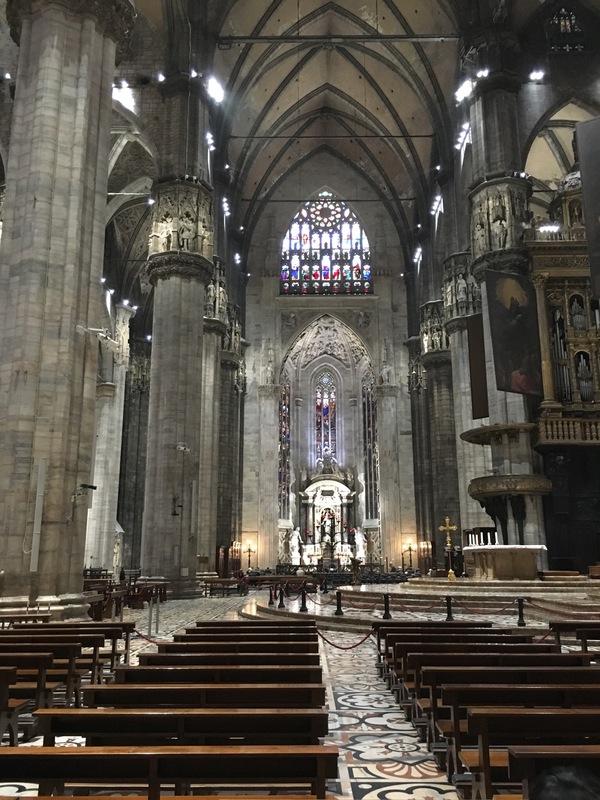 Milan Cathedral: finally got to enter! and its awesome so much detail and love was put in this place to make it work. 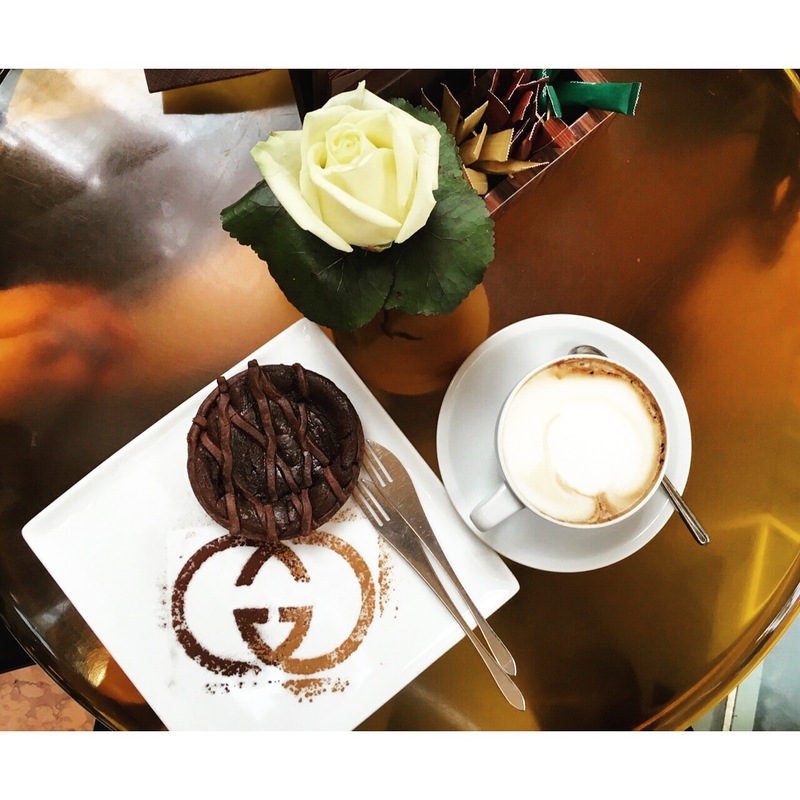 Gucci Cafe: right in the middle of Galleria Vittorio Emanuele II, thats where you’ll find it, OMG the coffee is great and the desserts are a must get the chocolate cake its life! Terrazza Aperol: nothing more perfect that siting down at the terrazza with a Spritz and some tapas to have chat, while looking over the city center. Cioccolati Italiani: Last Italian gelato in Italia, lol, one of the best ice creams I’ve ever ever tried, the pears with dark chocolate OMG!! 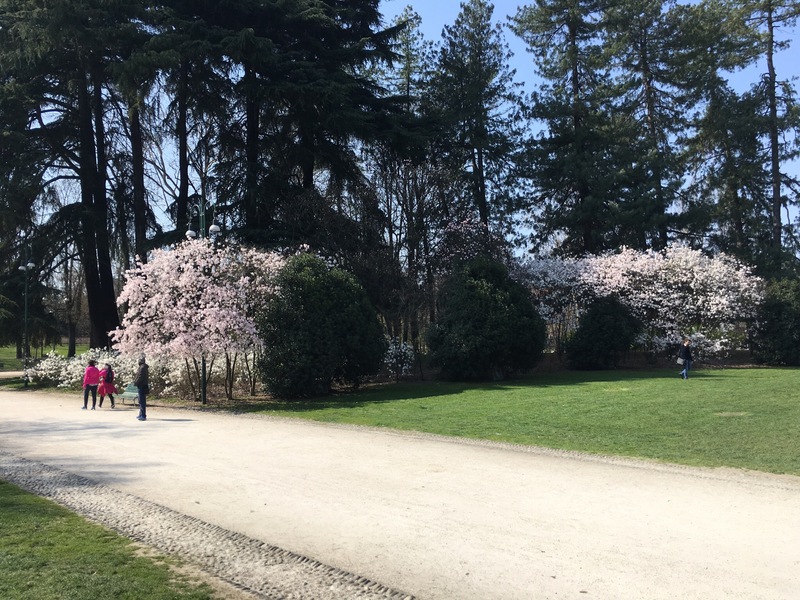 Salgamos de centro de la ciudad: En realidad comenzamos a caminar sin dirección alguna y llegamos a ver algunas casas parques y un fuerte increíbles. 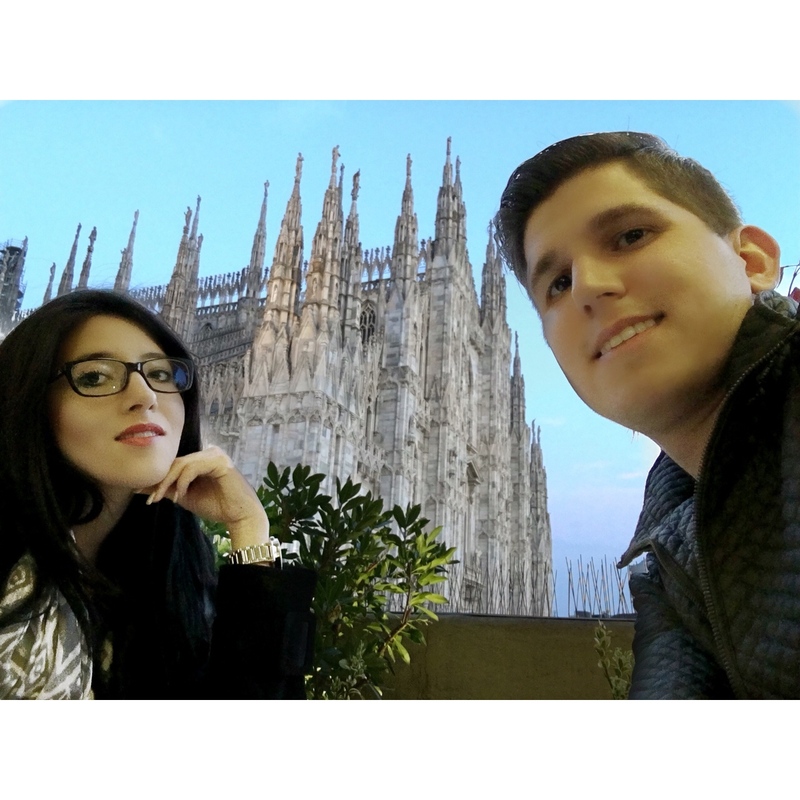 La catedral de Milán: por fin pude entrar! Es impresionante tanto detalle en un solo lugar. 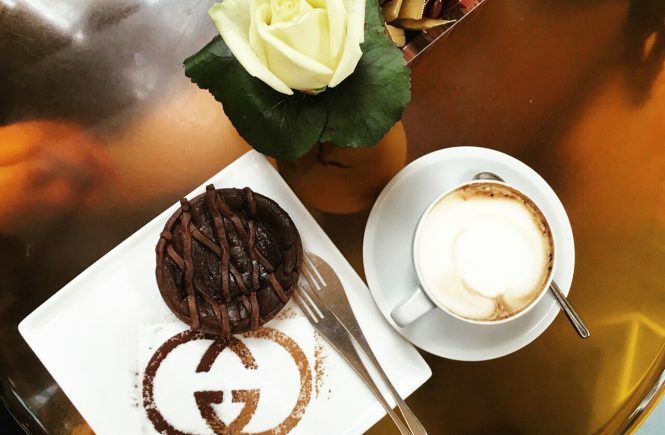 Gucci Cafe: justo en el medio de la Galleria Vittorio Emanuele II, es donde lo encontrarán, el café es muy bueno y los postres se vuelven una necesidad, preparen para comer el pastel de chocolate de su vida! Terrazza Aperol: nada más perfecto que el sentarse en la terrazza con un Spritz y unas tapas para tener una platica, mientras observas el centro de la ciudad. 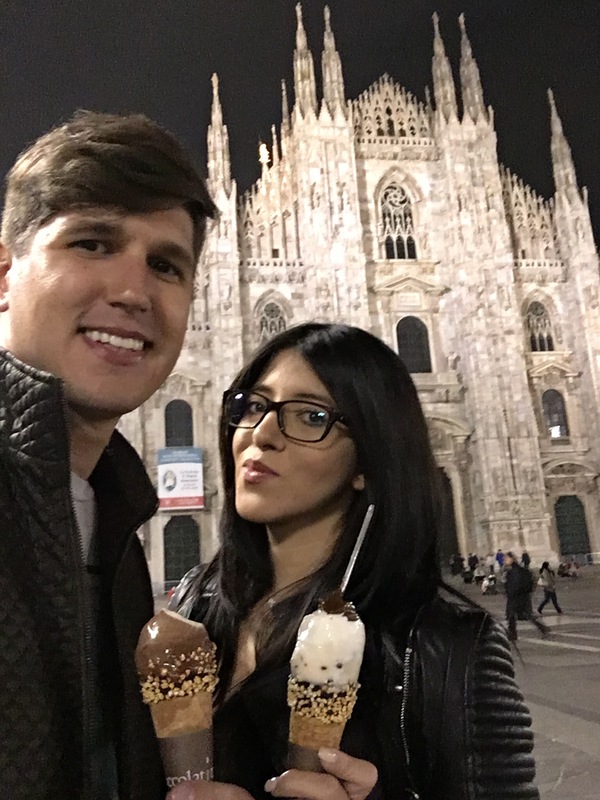 Cioccolati Italiani: Último helado italiano en Italia, lol, uno de los mejores helados que he probado, pidan el de peras con chocolate amargo OMG !! Your pictures are priceless! What at fun place to travel to!! Milano used to be my stomping ground as I worked there for several years. 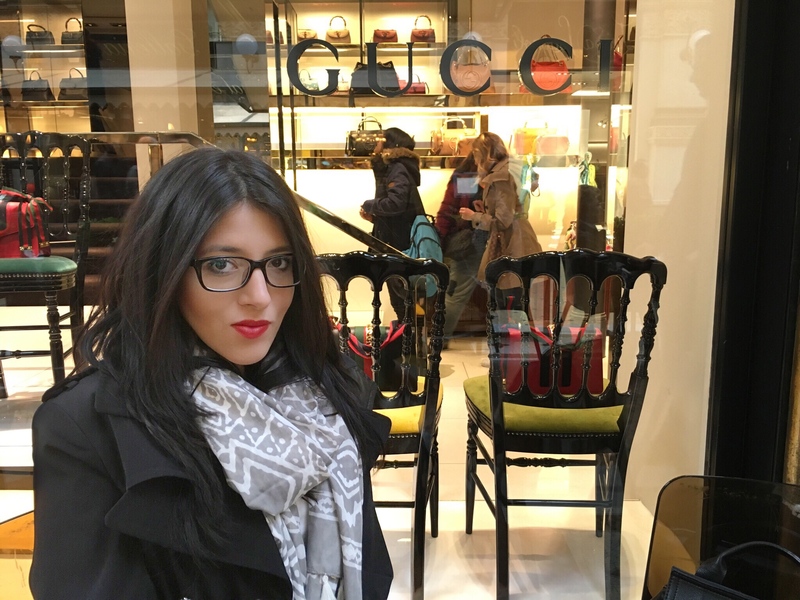 I have not been there in a while, as whenever I visit my family in Italy, there is always something else planned to do. Thank you for the virtual visit. OMG where did you work? i fell in love with the city! Its truly breath taking. but i mean tally is so unique so i bet al the plans have something fun. Lovely pictures! I want to travel there badly! beautiful pictures, looks like you had a nice trip! Visiting from the FB group Bloggers sUpporting bloggers! its Loreal’s collection exclusive by Eva #403 😀 love it!! Incredible photos and nice post !! <3 it! 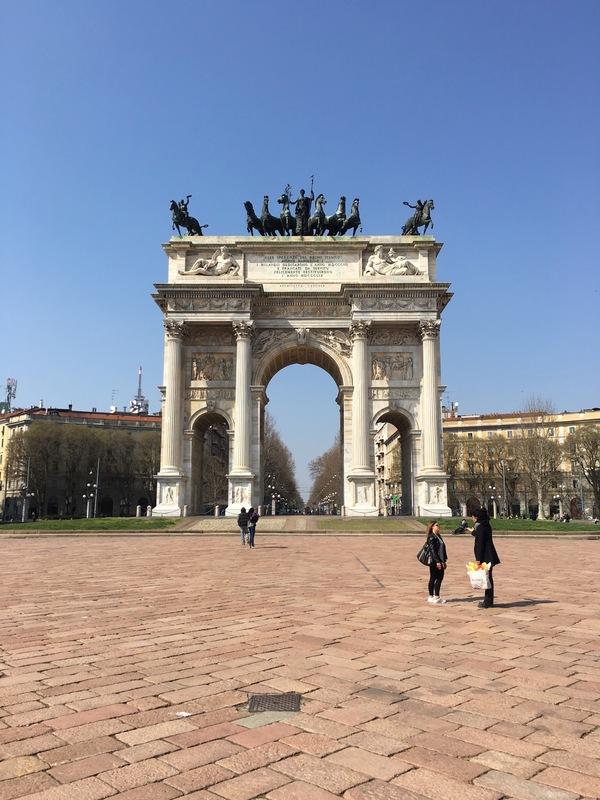 Milano looks stunnning, I am in awe of those big, beautiful old buildings! Would love to visit here for myself one day. It looks so beautiful there, I need to visit there. From your photos everything from the scenery to the food was picturesque! 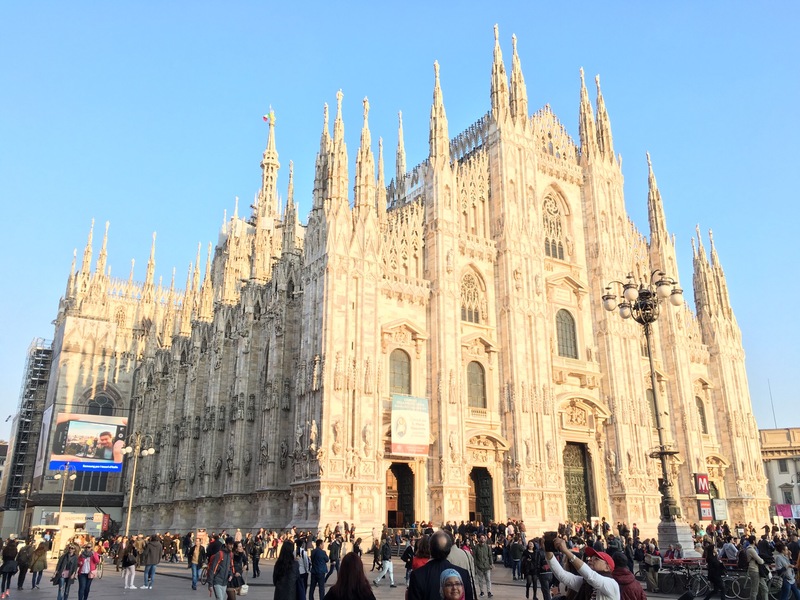 I am going to Milano this summer and I am beyond excited! Looks so lovely! can’t wait to see your pics!!! Looks like a fun time! I’ve heard nothing but good things about Italian gelato. My best friend is over there right now and she loves it! i actually had a gelato each day! i gain a pound but i mean its worth it!!! I’m jealous now! Those photos are beyond beautiful! thanks beautiful, glad you liked them!! Have you climbed on top of the cathedral? 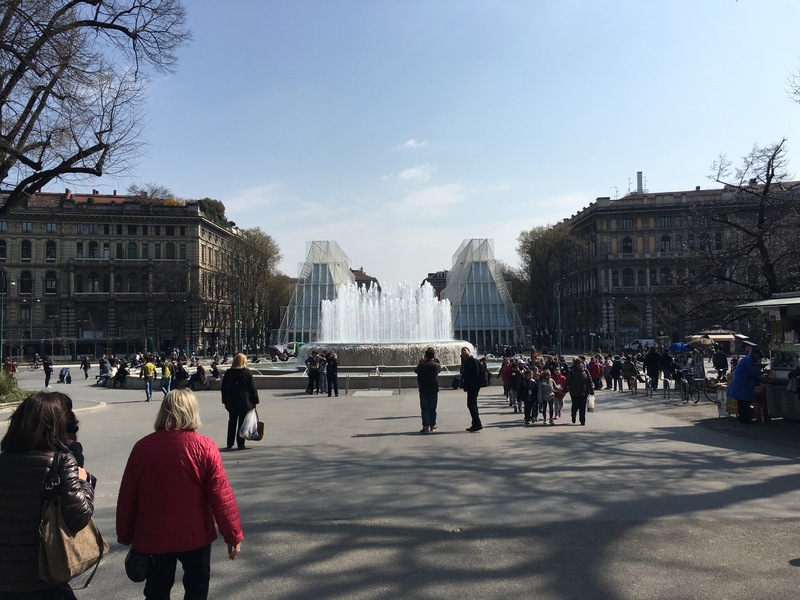 That was my favorite spot in Milan! You can the the whole piazza below! People lay down and take naps up there which is pretty neat. Italy in general is so beautiful!! 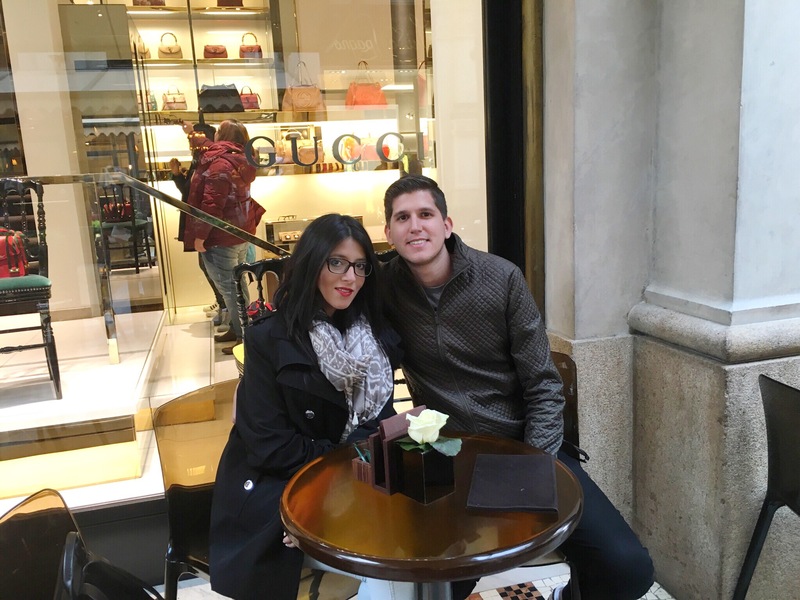 but milan got my heart for real! What a beautiful blog. 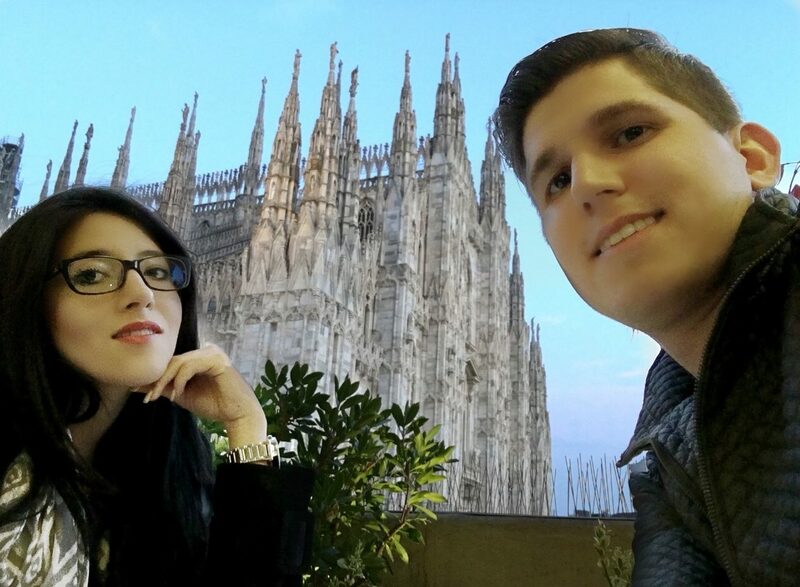 I have always wanted to visit Milan. Ahh. I loved this post. What a great trip! Gorgeous pics as always. …Gonna bookmark this post for when I plan my European vacay. Beautiful pictures! I love the latte art!